Some time ago I met Carrie Anne on a field of blog battle to see who could write the greatest post about avocadoes. I won’t say who won, but suffice it to say that only one of us had recipes and original photography. Now we square off again. The weapon? Greek yogurt. The prize? A cheeseburger My dignity. What is Greek yoghurt? And why is it exploding like the latest supernova in food’s firmament? To simplify the matter, it’s standard yogurt with the whey filtered out. What is whey? It’s the stuff that’s left behind when yogurt goes to Greece. lol it’s a bunch of stupid powder. Greece, you see, does not allow whey within its borders. 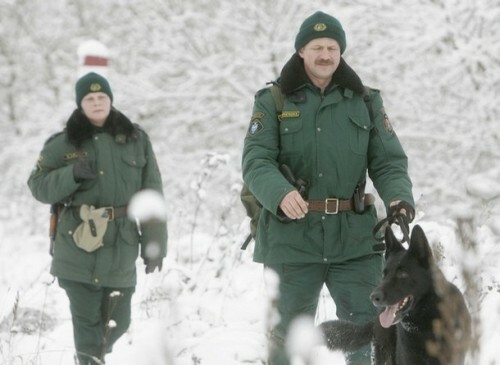 Specially trained border guards, identifiable by the insignia on their jackets and hats, prevent the incursions of whey into the country. These men and women enjoy the same status as “first responders” in American society, despite the Bureau of Dairy’s enduring reputation for corruption and nepotism. Even with the country teetering on the brink of default, Whey Guards continue to maintain their privileged status and enjoy lavish lifestyles on the government’s dime. That’s how much the Greeks hate whey. Patrolling the mountains for whey. That aroused hunger in countless Achaeans. Although popular texts attribute Achilles’ intransigence to his fury over the loss of the slave girl Briseis, early copies actually have him sitting out the battle for Troy because he was just too into his yogurt. Where soldiers would sample yogurt from their helms. It remains unproven, as indicated here by Virgil (a Roman writing centuries after Homer), that ancient Greeks ate yogurt out of their helmets – some historians insist that helmets were traditionally used as salad bowls – but this passage gives the first clear indication that whey was such a proscribed substance that the gods themselves first declared it anathema and drove it from Greek’s shores. Why? Probably because whey is just a waste of everybody’s time. Greek yogurt, people! Now that you’ve been all bowled over by erudition, head over to Carrie Anne’s blog for actual Greek yogurt recipes and tips.